In 2018, Israel marks the seventieth anniversary of statehood. Yet the events of 1948 are remembered very differently by the Palestinian people, who to this day carry the memory of the Naqba, the displacement of an estimated 750,000 Palestinians from their territories during the 1948 Palestine war. In the seven decades since, there has been no lasting agreement to sort out the volatile political and social situation in the region, which looks likely to remain for many years to come. 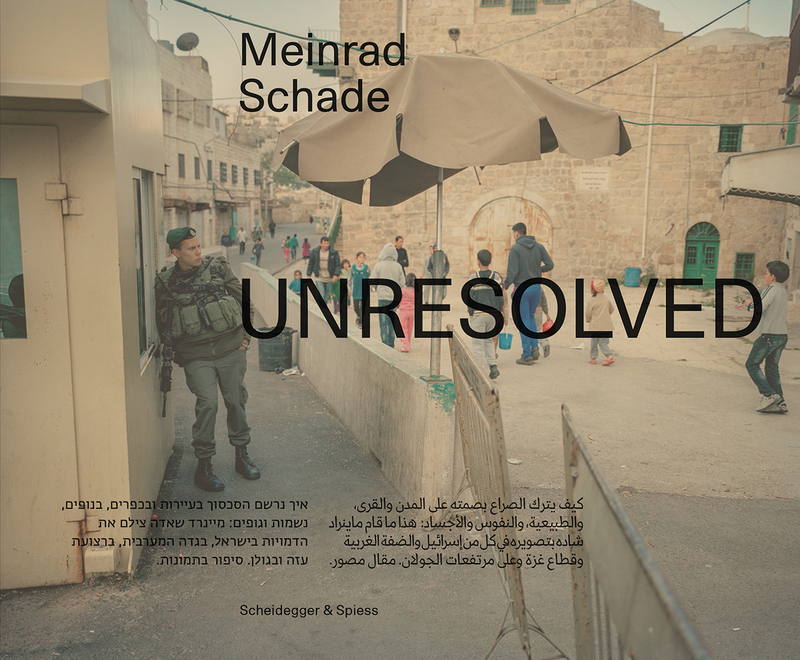 Unresolved is the most recent photo-essay by renowned Swiss documentary photographer Meinrad Schade. A continuation of his War Without War project, in which Schade documented the lingering, damaging marks of war on the former Soviet Union, Unresolved explores the obvious traces of conflict and the scars it leaves on both the people and landscapes in Israel, the West Bank, the Golan Heights, and the Gaza Strip. Yet even more importantly, Schade brings home to the reader the sometimes hidden symbols that can be found in daily life. The captions—in English, German, Hebrew, and Arabic—highlight historic and current aspects of the conflict and invite readers to view it from different perspectives. A thoughtful and sensitive photographic series, Unresolved offers an intimate look at the lasting impact of the conflict on the anniversary of its onset.